You can start with Alpha Tracker even before you receive the order from the customer. 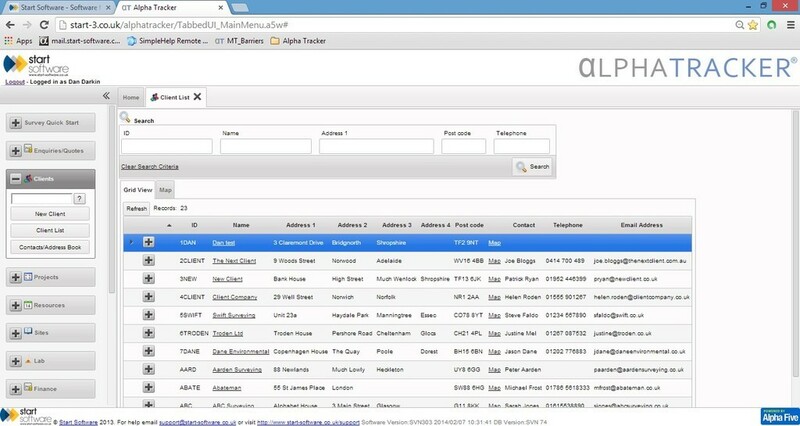 Alpha Tracker can store the names and addresses of your prospects as well as your customers. 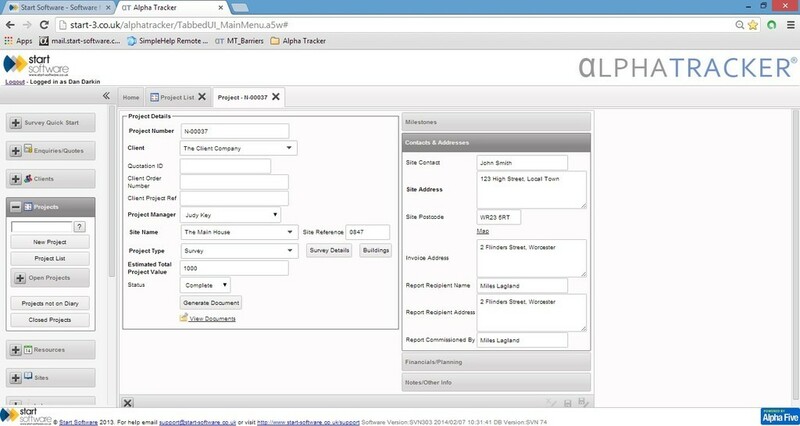 You can create and send quotes to your customers from within Alpha Tracker! 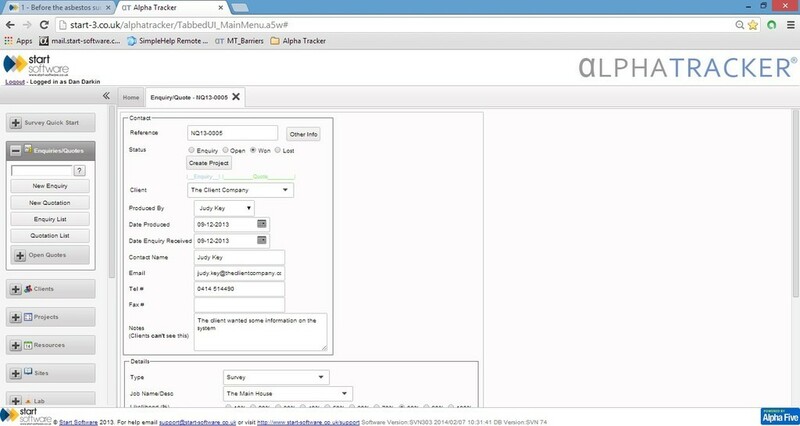 When you receive an order, convert the quote to a job or book it in. Alpha Tracker will assign the project number or you can do it yourself. 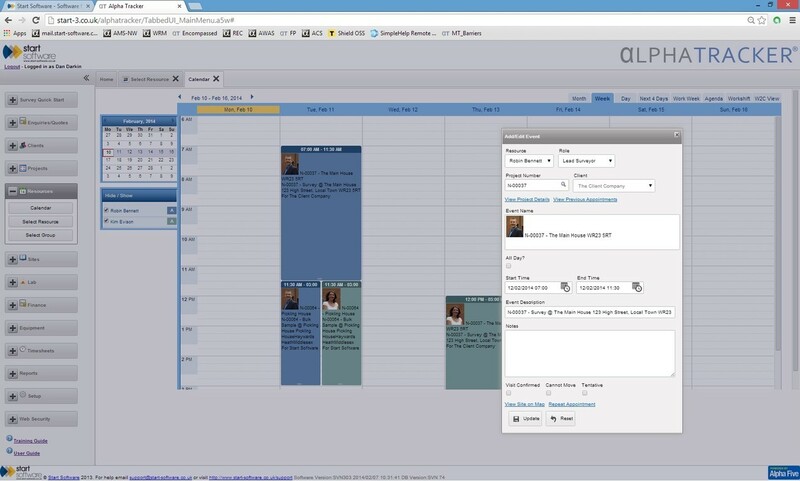 Use the built-in diary to schedule the job for the surveyor and Alpha Tracker will send the appointment to the surveyor's phone using Google Calendar or Exchange Calendar. No more emailing diaries or phoning surveyors to get them to where you want them! See the next step: Easier Asbestos Surveying.